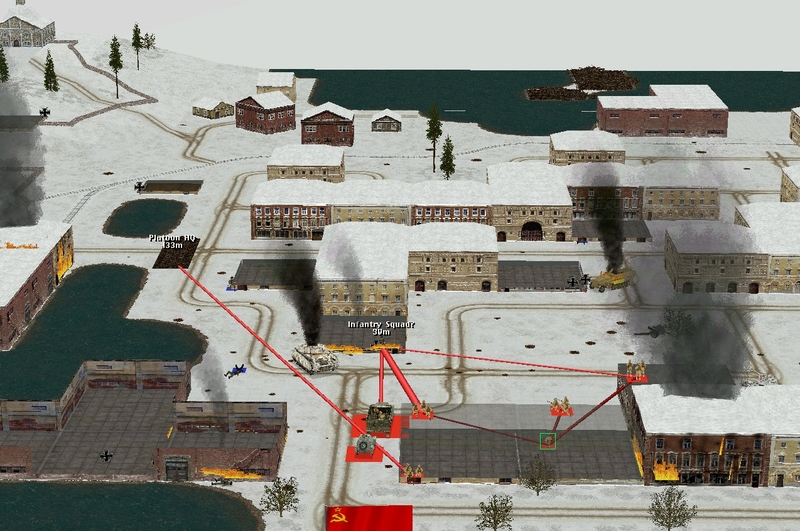 Welcome to the third communal Combat Mission skirmish – a comment-driven confrontation between RPS readers and CM’s uncommonly entertaining AI. Turns span 60 seconds and rarely go according to plan. Late-war and Eastern Front, this summer’s scrap takes place in a German-held Baltic port. Eighteen turns in, the commenter-controlled Soviets control three of the map’s seven victory locations, but are getting bogged down in the west. The situation in the west changes little during turn 19. 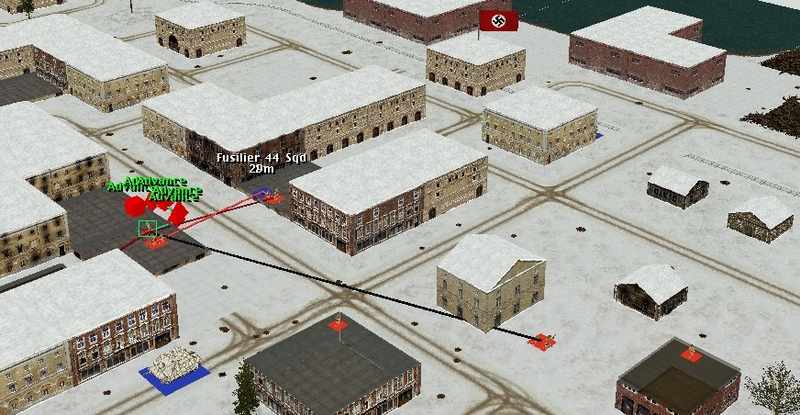 Flare Path, the pyrophobic flamethrower tank, temporarily quells the MG 42 on the northern edge of the square, and the AT gun on the spit drives the warehouse defenders at s13 back into the shadows, but the lynchpin of German resistance north of West Bridge – the implacable infantry squad in the burning building at p15 – refuses to yield. When the turn ends, the p15ers and the tenacious tank crew at n14 (Batrakov’s killers) are the only enemy units returning fire. Further east, Myshkov’s pioneers have almost finished mopping up the dispirited fusiliers. Demonstrating impeccable timing, the StuG moved south this turn while the Ivans hunting it moved north. There was a fleeting period of mutual LoS, and a moment when Renko, upstairs in m26, seriously contemplated fabricating a quick vodka bottle molotov, but nothing came of either opportunity. The men of Myshkov’s 1 Squad arrive at k27 feeling slightly foolish, but a glimpse of the backside of the buttoned SW-facing StuH at g24 raises their spirits.